Pentavision’s DJ Max Technika 2 was recently seen on a location test in South Korea and a couple of sites (Bemanistyle.com and Ruliweb.com) have the rundown on what the sequel will bring to the table this time around. 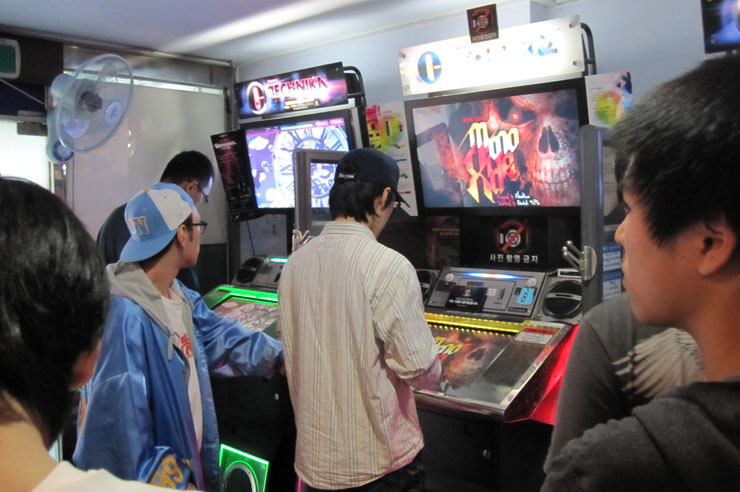 As you might recall, the first DJ Max Technika was voted as the Game of the Year 2009 here at Arcade Heroes, showing that the game has a pretty strong fanbase out there. DJ Max Technika 2 uses a new touch screen for enhanced multi-touch capabilities, a co-op mode for two people to play on the same screen, new buttons, and a plethora of new songs. The co-op mode looks like it could be a lot of fun and it should increase the earning potential of the game as well(you may recall that one surprise at last year’s IAAPA was a DJ Max Technika clone called Magic DJ which included two screens). As far as I know, PM Studios plans on bringing this to the US, although I haven’t heard any “official” announcements on it yet. Still, they are teaming up with Bemanistyle.com to sell the DJ Max Technika 2 Signature Collection set, which includes the sound track from the game along with some other goodies, so that seems like an endorsement for bringing the arcade version to the States. We have no idea how much a DJMAXT2 will sell for but let’s hope that they start it at a price below where 1 started out at as I think that the high price is a big reason why the game hasn’t been seen in many locations. This has me wondering, would an upgrade kit be feasible here? The cabinets look similar enough but with a new touch screen that would make for a high priced kit, although I can imagine that for some who picked up the 1st DJ MAX, an upgrade kit would be a nicer option than buying another full cab. 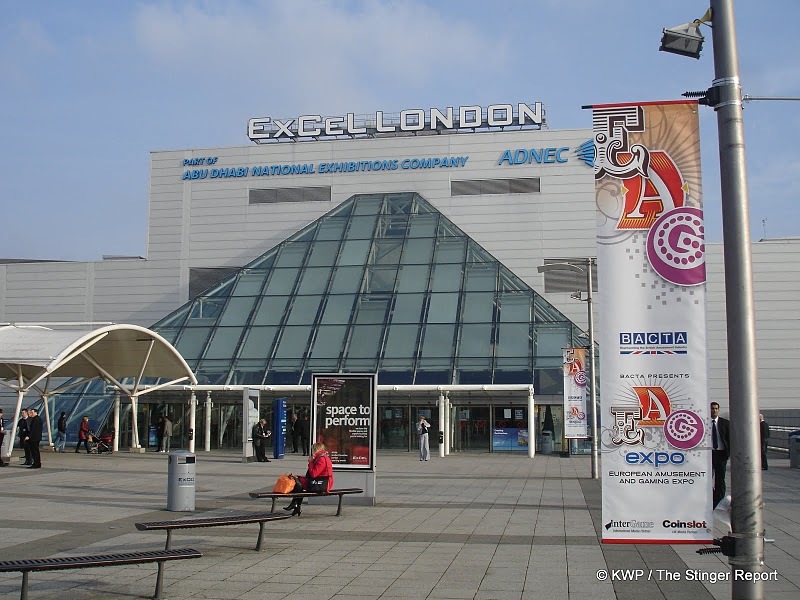 Thanks to Kevin Williams of The Stinger Report, we have a first look at the European Amusement and Gaming Expo 2010. To give you an idea of some of the games you’ll see by clicking below, here’s a brief list of what’s new: Let’s Go Island (Sega); Bejeweled (? ); Vulcan M (Rassen); Big Buck Hunter Pinball (Stern); Stomper DLX (TrioTech); Rok N’ Bloks (ICE); The BishiBashi (Konami); and one game that’s sure to grab us plenty of hits for the rest of eternity on the name alone, Box4Sex (don’t worry, it’s SFW – just a boxer game that dispenses condoms and such) and of course there’s more. But you’ll have to click below to find out. All the pictures are courtesy The Stinger Report; the commentary is all mine and just so you know, I wasn’t at the show. This also marks just one of our EAG related posts – more information will be forthcoming (including videos!) in the coming days so stay tuned! In fact, I already have found one video showing the games there, which you’ll find embedded below as well. 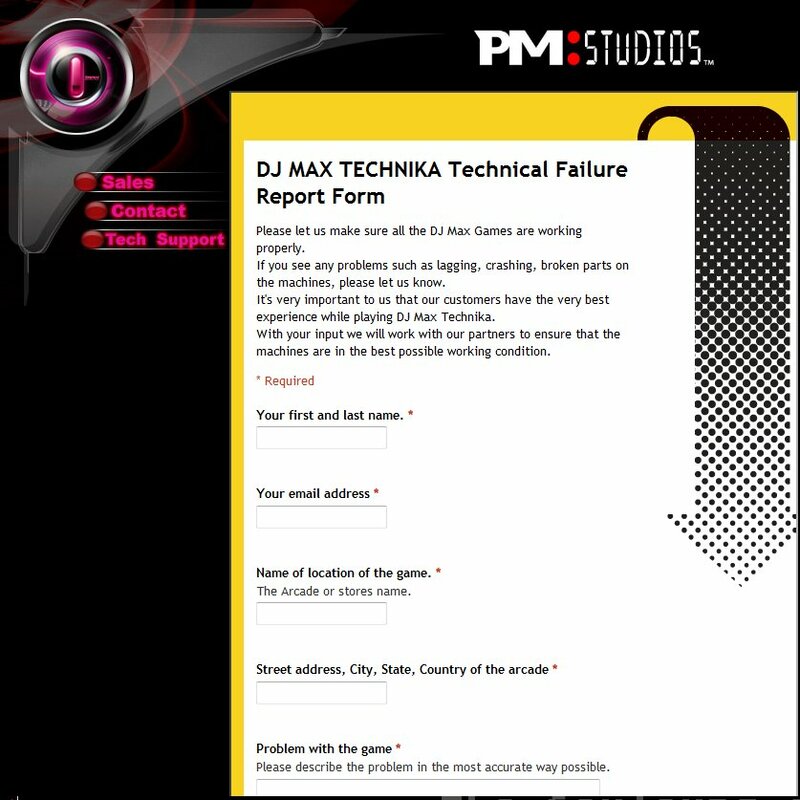 PM Studios has not kept a tight lid on their new arcade title known as DJ Max Technika and this means more information for us to enjoy about the game. In an interview with Michael Yum, executive producer behind DMT @ PM Studios, Michael talks about the arcade scene, the differences that will be found between the home and arcade versions (and why the arcade version will be better) and more. 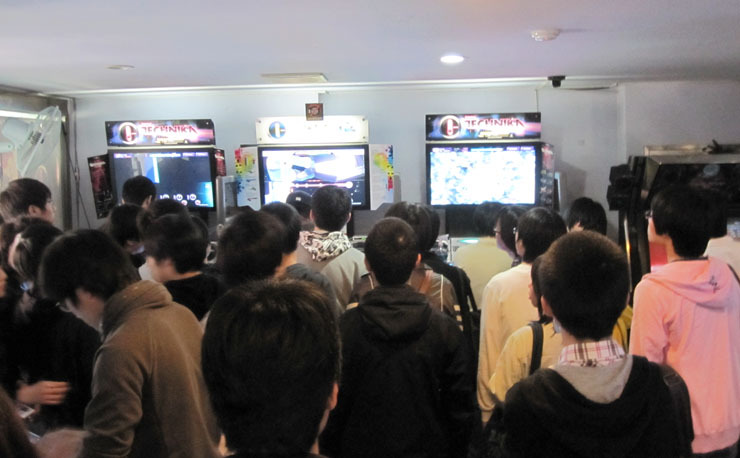 We also want to help in the revitalization of arcades. Companies like Capcom, Konami and Activision, they’re all trying really hard at the moment and so we don’t see each other as competition in this market. Obviously, it’s a different story when it comes to consoles. In the arcades though, we all want to help each other make the games successful here, so we hope to help revitalize arcades and bring a lot of new console games over here in the process. This is a great attitude for PM Studios to have for arcades in the US and I think that DMT is a great way to enter into the market. Of course recently Capcom USA said that SFIV couldn’t do anything to help revitalize arcades in the US so they wouldn’t even bother to try, so it’s always good to know that other newcomers to the US arcade scene don’t feel the same way. The more companies making arcade titles for the market here and elsewhere, the better for the rest of us (especially those of us on the front lines running an arcade of our own). If you are in Europe, you may also be interested to know that Michael also mentions that they are interested into entering the market there, so I imagine that it means that we’ll see DMT in Europe too.